Deciding on a new career is tough. You might have a tendency to over think and get into your head too much. Here are some questions to help you get in touch with your true passion. Read the industry magazine. One of my barometers that told me I wasn’t in the wrong job – I was in the wrong field – was that I realized I had no interest in my professional associations’ magazines (e.g., HR Magazine, and other publications for people working in higher education HR). 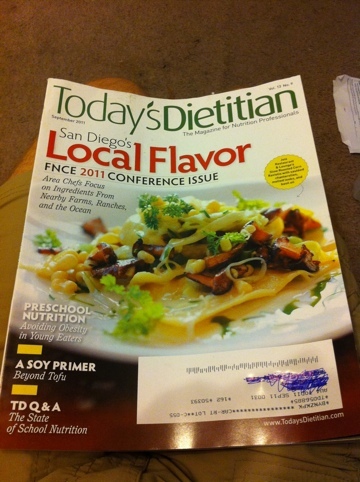 I subscribed to a dietetics magazine and enjoyed it. And cooking magazines – I devoured. Do you want to kick back and read your industry’s journals? Look at what you do in free time. What do you do for fun? What common themes do you notice? For me, working with my hands, reading about nutrition and health, cooking, cleaning house (yes, I find it meditative), being active, grocery shopping, playing sports. Get in touch with your inner child. What did you want to do when you were a kid? Why did you think about those jobs? I wanted to be a mechanic. I liked fixing things and solving problems for people – helping them. I liked tangible things and I liked the idea of an immediate outcome. Take note of what parts of your current job you like most. For me, I most enjoyed advising people and being an expert. I enjoyed organizing potluck lunches for employees and leading outings to new restaurants where we could all get to experience the food and get to know each other. Explore your values. What things do you personally value? Money? Time? For me, health and emotional well being are tops. Beware – security as a value is not a great choice. A steady salary has it’s plusses, but there are ways to have a steady income and do something you love – or at least something closer to what you love. You might not make as much money, but you could make way more – because you’re following your passion. Think about significant places and experiences in your life. What events in your life were most powerfully positive? What places, when you’re there, do you lose yourself – where you become enthralled and comfortable. For me, I’ve always had a fascination with commercial kitchens, grocery stores, libraries, and book stores. I also had a significant positive experience in a nutritionist counseling session which led to the discovery that I could manage a skin rash that had caused me 10 years of trouble. 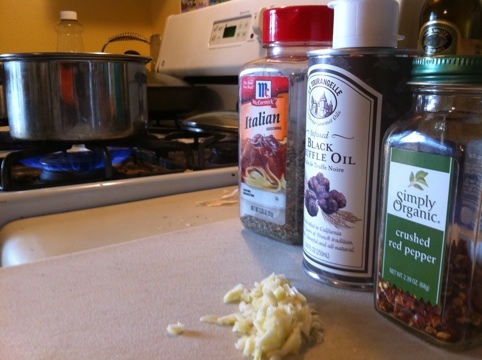 Another time, I organized and prepared meals for a weekend workshop and loved it. How do you long to serve others? Ultimately, all work is about providing a service or thing for someone else. So recall a time when you were really proud of something you did for someone. For me, it was building things, fixing things, cooking for others. I remember making a lemon pie for a family Thanksgiving. I was so proud and excited. Everyone was impressed. Nevermind that I got so excited at the last minute that I tossed some ill-planned cinnamon on top of my perfect meringue – the whole thing was a positive and formative experience. Think like a Korean infant. In Korea, a tradition for a child’s first birthday is to lay out an array of objects before the kiddo. Whichever object the child first grabs is seen as an indicator of his or her future proclivities. If someone laid out a law book, a stethoscope, a chef’s knife, and a microscope, which would you instinctively choose? If faced with an art store, kitchen store, science emporium, music store, and clothing store, which would you enter? Where’s the pull? Where’s the energy for you? Not all careers involve physical objects, so this doesn’t work for everything. But you get the picture. Who do you admire? If you were to pick up a biography, what kind of person would it be? A chef, politician, doctor, artist, explorer, athlete, police officer? A healer, a warrior, a poet, a statesman? What kind of life, when spelled out in detail, could you see yourself living? Which instills the most excitement in you? What subjects did you enjoy in school? Which did you dislike? I enjoyed geometry and physics. Physical education was a favorite, as well as art. They all relate to physical space and motion. There was immediacy to them all. I disliked biology and chemistry. These were hard to see, and more abstract to me. They were very technical and involved memorization; the concepts weren’t as intuitive. Look at how you responded to each question. What themes emerge? 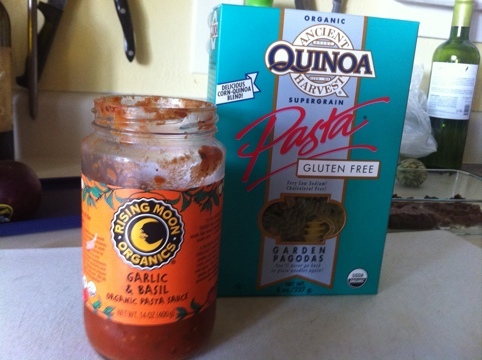 I noticed there was some leftover pasta sauce nearing the end of it’s shelf life, so I decided on pasta tonight. 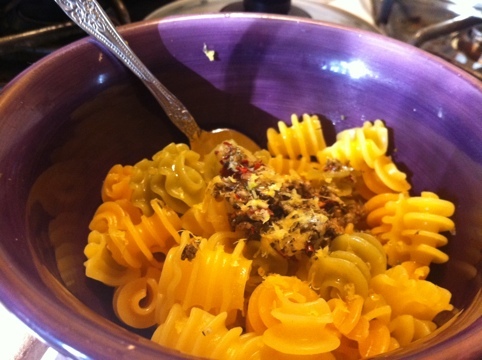 I cobbled together two versions – one with mortar-ground spices (garlic, fennel seed, crushed red pepper) and olive oil, and another with the red sauce. The answer has unfolded gradually over time. 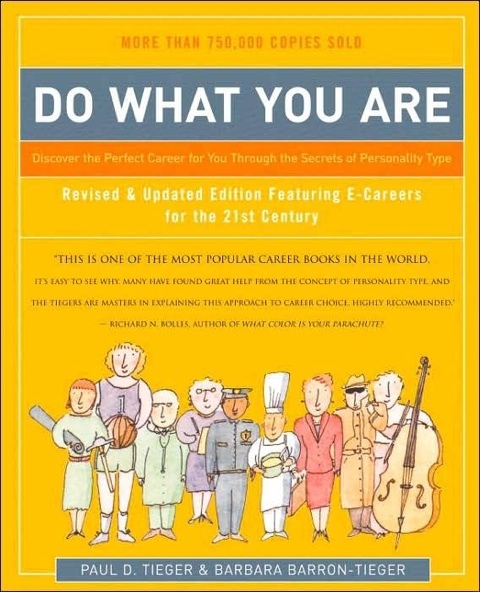 But one key step in my career journey was the book Do What You Are. The premise of the book is that you should do work that aligns with your character, your personality. Two careers jumped out at me that aligned with my profile – chef and dietitian – because I’ve always been interested in food and nutrition. There’s a lot I could say about the book, but in short, I highly recommend it for anyone considering a new career. I never tried gluten free baking before, but it was a goal of mine to try, so tonight I took action. Gluten free baking is taking something already fairly processed (wheat flour) and replacing it with equally processed (and probably moreso) ingredients that, if they were ideal for baking, would have been used for baking for the past 2,000 years instead of wheat. This means adding in stuff like xanthan gum. Then, of course, you’ve also got your acquaintances sugar and eggs (let’s not become to cozy with these guys). 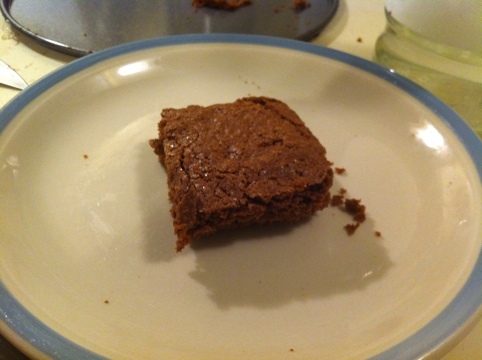 The result tasted fairly good, although wasn’t much to look at. It packed a sugary punch, which I’m reeling from as I type this.